We know that “the truth” is a relative concept in the Trump White House, so no one was surprised when President von FuckFace (kudos, Stephen A. Crockett Jr.) declared that Obamacare was “finished,” “dead” and “gone” Monday. It’s true that if Obamacare were a person, he very well might be on his deathbed, since Donald Trump has tried to destroy him limb by limb. Because his lame, divided, Republican-led Congress was unable to repeal the signature achievement of the Obama administration, Trump last week signed an executive order that undid portions of Obamacare in addition to cutting Affordable Care Act subsidies (i.e., “cost sharing”) for the poor, which, taken together, will destabilize the insurance marketplace and drive up premiums, according to experts. Alas, Trump’s petty ways began long before that. Earlier this year, he slashed funding for ACA advertising and “navigators,” who help Americans enroll in exchange health plans. He also cut in half the ACA enrollment time, which includes website shutdowns. The irony here is that it is people in the states that supported Trump who will suffer most, according to a new analysis by the Associated Press. According to that report, nearly 70 percent of those benefiting from the cost-sharing subsidies live in states Trump won last November, and of the 10 states with the highest percentage of consumers benefiting from cost sharing, all but one—Massachusetts—went for Trump. Premiums in those states—including Wisconsin, Florida, Tennessee, Kentucky, Mississippi, Pennsylvania and Arizona—all of which Trump took in the 2016 presidential election, are expected to increase significantly. AP reports that the National Association of Insurance Commissioners has estimated that the loss of the subsidies would result in a 12-15 percent increase in premiums, while the Congressional Budget Office has put the figure at 20 percent. 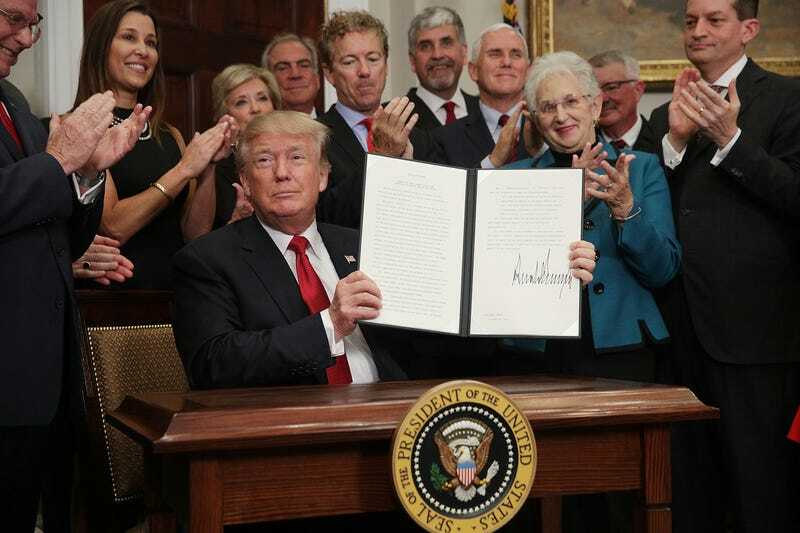 Experts also say that the political instability over Trump’s spiteful efforts to undermine President Barack Obama’s health care law could prompt more insurers to leave markets, reducing competition and driving up prices. There could also be blowback on the Republican Party when people’s insurance premiums start to rival the cost of their mortgages. There is still no credible replacement for the Affordable Care Act.